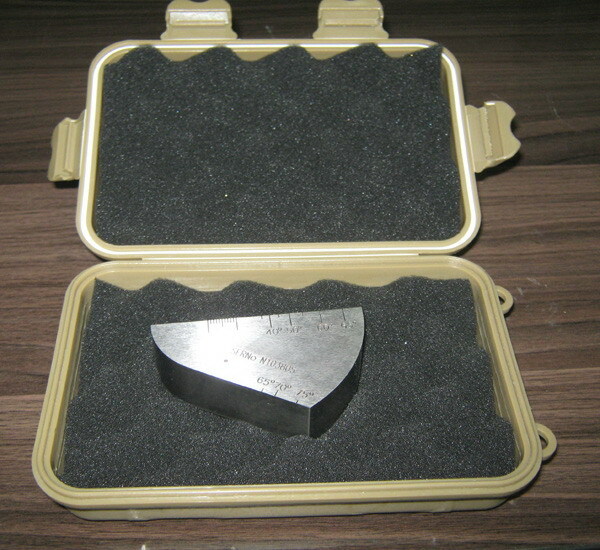 12.5 mm thick small calibration block for on-site checking of miniature shear wave probe index, time base, beam angle and gain. Includes a 25mm and 50 mm radius, 5.0 mm hole, engraved reference mark scales from 40 to 75 degrees. In accordance with BS EN 27963:1992, ISO 7963：1985 Cal block No. 2, Fig. 1. 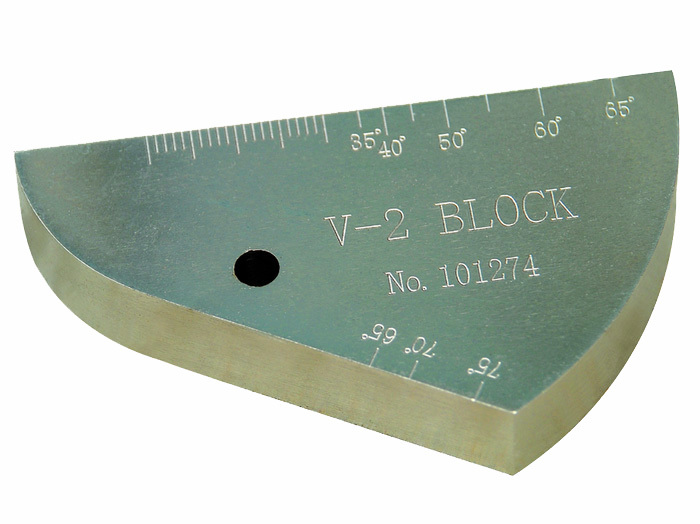 -Also available in 20mm and 25mm thicknesses，1.5 mm hole for calibration of non-miniature probes.